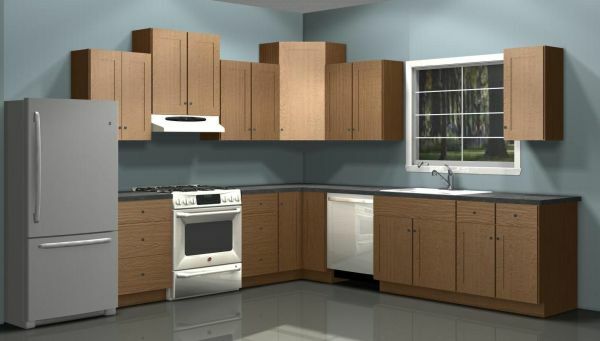 Kitchen cabinets play a crucial role in adding to the storage space in kitchen as well as enhancing the entire beauty of the kitchen. The modern day kitchens are designed to give your kitchen a relaxing, funny and effective feel. Above all, it complements the interior of any house. 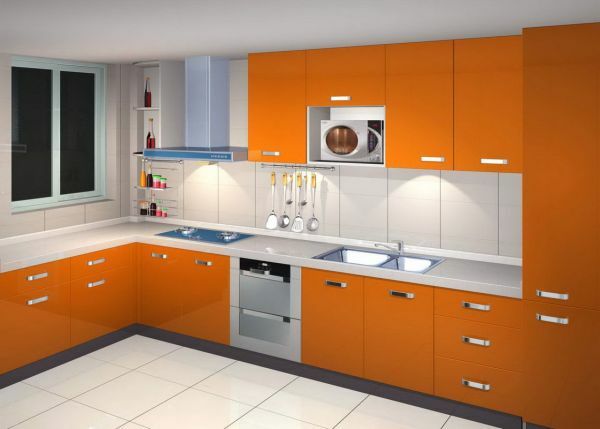 Considering this, here we are with five most creative kitchen cabinet designs. Making the kitchen cabinetry using stained glass will help you give a unique handmade feel to your kitchen, which resembles your warmth and love towards the place. To add to this, you can install interior cabinet lighting, which will simply look alluring by glowing beautifully through the colored glass. For those who love open shelves, the shelves with sliding barn doors are a great option. These doors allow you to reveal and conceal various items according to your choice and priority. Above all, they are very elegant to look at. 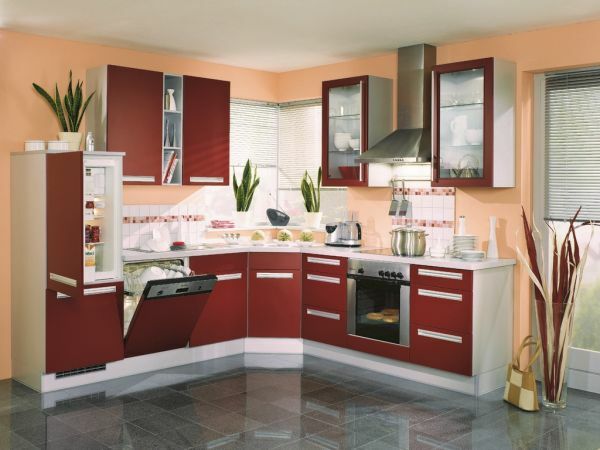 Some colored doors amidst a full white kitchen will spice up the entire look of your kitchen. 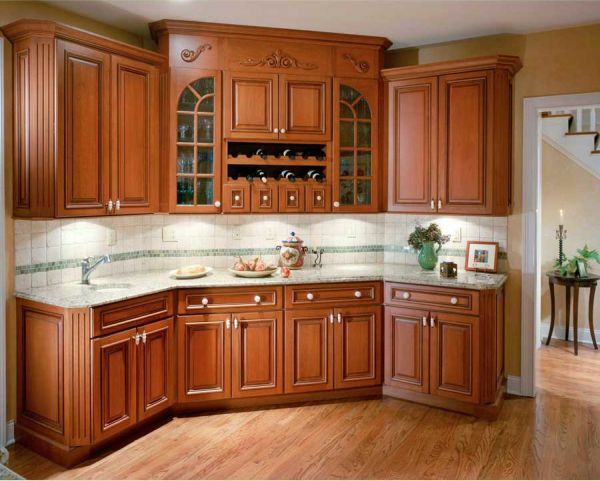 All you need to do is paint a few cabinet doors with bright hues of various shades to see the magic. Going for more than one shade or specifically two different hues is an excellent way to bring back your kitchen to life. You can either opt for darker shade for the upper cabinets and lighter shade for the lower ones or vice versa or alternatively paint all the cabinets in dark shades except one or two, which you should paint with the lighter shade. Some of the suggested color combinations include lime green, bright turquoise and pale lemon with soft spring green. This way, you will be able to create an excellent contrast in your kitchen. The chalkboard doors, carved out of real slate, are framed with reclaimed wood. This is the best way to render your kitchen cabinets, and ultimately the kitchen, a unique, earthy and rustic feel. These cabinets can serve as a useful space to make note of your kitchen items and grocery list, along with your favorite recipes all at one place. For already existing kitchen cabinets, painting the cabinets with multiple layers of chalkboard will convert them into excellent chalkboard cabinets. All these creative ideas can transform the entire look of your kitchen cabinets, making your kitchen a beautiful and comfortable place to enjoy cooking and meals with your family and friends. What is your recommendation for kitchen knobs?